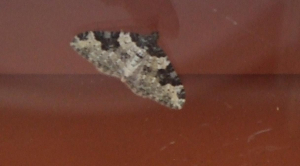 Observation - Unidentified moth - UK and Ireland. Description: A small silvery coloured moth which had got itself caught between the window and the blinds on a door. Not sure what it is though - can someone help identify it please? A small silvery coloured moth which had got itself caught between the window and the blinds on a door. Not sure what it is though - can someone help identify it please?